Every year, NOG organises markets to sell the fruit from the local orchards. Usually three Plum Markets and three Apple Markets were held and some 3,000 lbs of fruit and 600 jars of jam are sold to the public. Most of the money - some is paid back to the orchard keepers in Newburgh. Click here to see results. In addition to selling direct to the public, we talk to commercial organisations about bulk sales. We have also acquired equipment for making apple juice and hold juicing workshops in the Autumn when apple growers can bring their fruit for juicing. 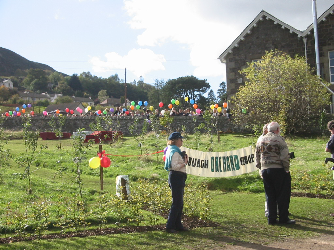 We have created a Community Orchard in the grounds of the local primary school. 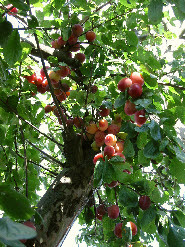 We also run occasional workshops about pruning, orchard management, fruit identification and recipe exchanges. See our Events page for dates.